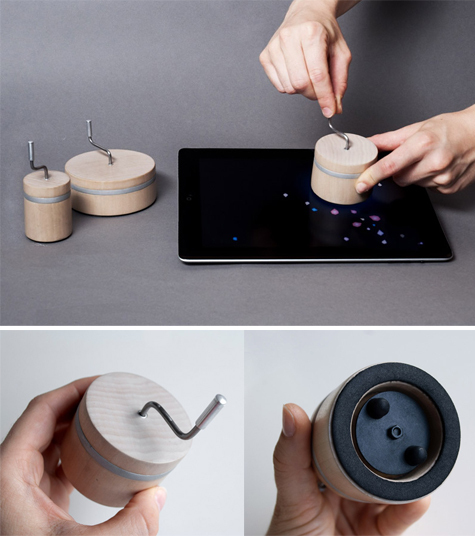 Little Boxes by Joelle Aeschlimann is a music box concept for iPad, composed of three separate music boxes that interact with an iPad and an application. When placing one of the boxes on the iPad, it recognizes it and activates. The idea is that each box contains its own universe revealed by the action of the crank with an animation and melody proper to each. What an interesting analog interaction with a digital device!